Often times we can’t catch up with the instruction only once esp if it’s in fast pace. So, it’s safe to listen to it the second time and to not overlook on some important points. And it is effective. I just missed a task Francis gave me from one video-mail--so I think I’m going to review another video-mail that I might have overlooked. 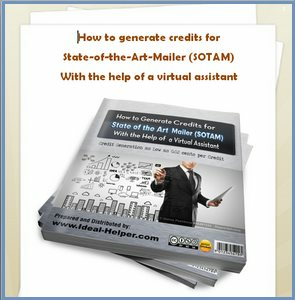 Done extracting files for process of hiring a virtual assistant for credit generation eBook report. Implemented new update and feedback from Francis’ main VA on credit generation eBook report. He just turned the post into an eBook and its looking great now. I am not feeling well today so I had to take an early off. The weather is not so good during the weekend. The temperature is so hot and i caught this flu and now it’s associated with fever--worst is the headache.